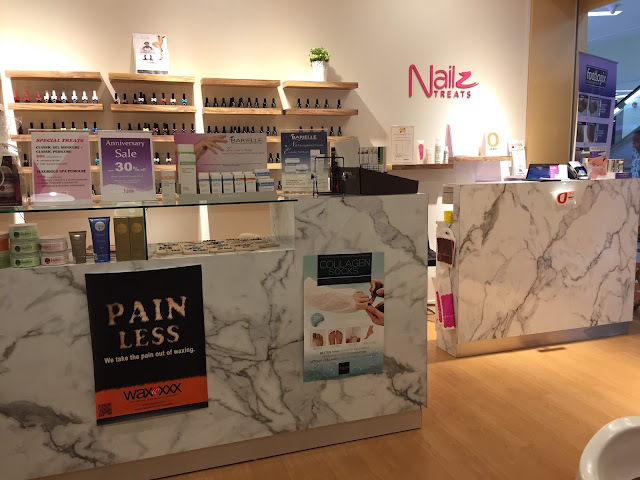 It is always a joy to visit Nailz Treats for my gelish manicure and pedicure as I have so much to chat with the friendly manicurists there, on top of the great services Nailz Treats provide. Not to mention… the massage chairs which customers get to sit on, enjoying an awesome back massage while getting our nails done. It had been more than a month since I last visited Nailz Treats. Since my previous gelish manicure has peeled off on some of my fingers, it was time to visit Nailz Treats again. 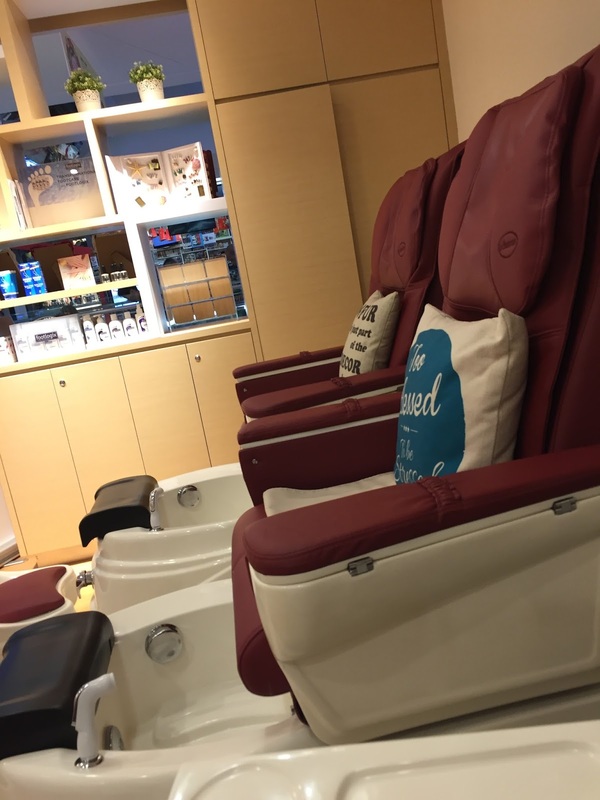 Nails Treats has many outlets and I visited the one located in Clementi Mall #04-14. These are some of the massage chairs which I am super in love with. 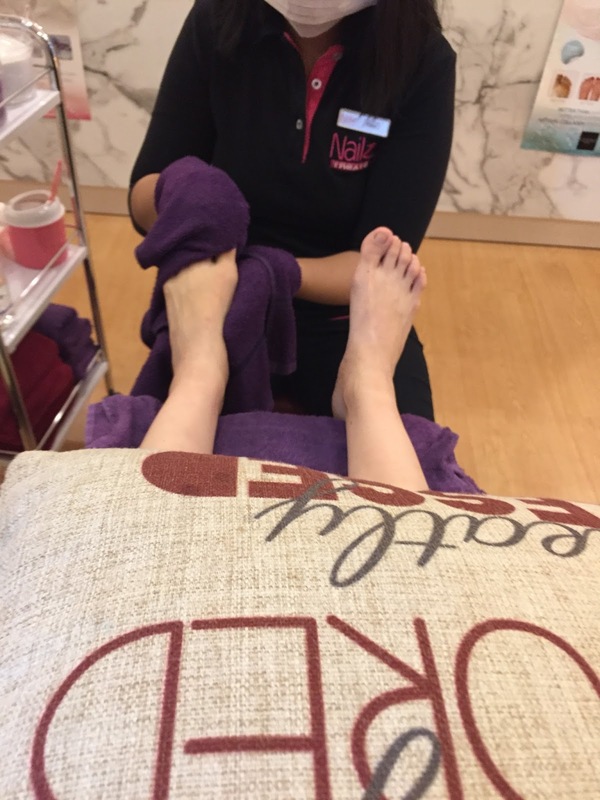 Getting a back massage done while beautifying my nails… multi-tasking at its best! The manicurist worked on removing my previous gelish nail polish first. Another manicurist worked on my toe nails at the same time so that my nails are ready at a shorter time. my feet felt cleaner now! The manicurist applied the first layer of base coat on my nails before the rest of the colours. The other manicurist massaged my leg and feet to ease the tension away. A second layer of base coat was applied as the design called for it. This was the first time I see this method of applying shiny specks of silver colour on the nails. All the manicurist did was to use a sticker like tape and go over my nails to create a glitter effect. See how unique the nail design on each nail looked. I like the fact that it looked clean yet with subtle glam. 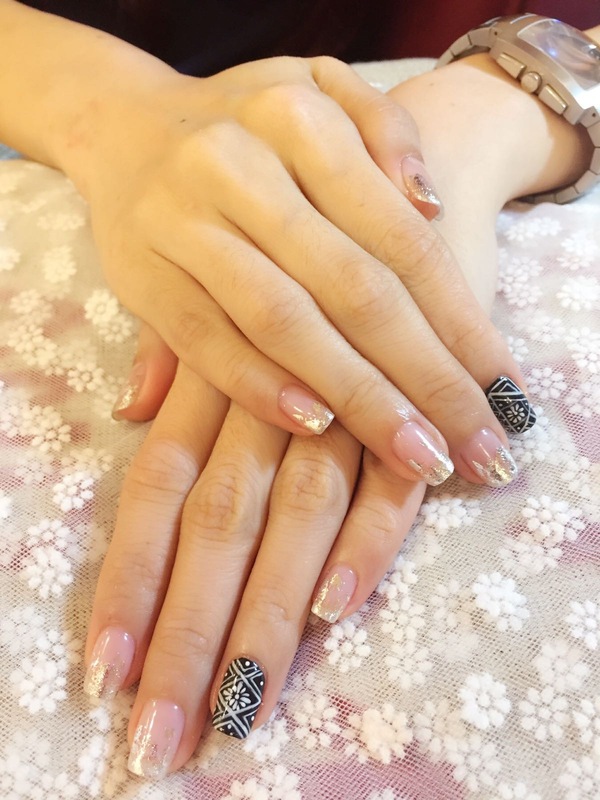 The manicurist also did two different nailart design on two different fingers as well to complete the look. Just look at the amazing nailart design! It was so meticulously drawn. My nails are so ready for Singapore Fashion Week as I was invited to attend some of the fashion shows. I absolutely adored this set of nails as most of the nails had a clear base hence when the nails grew longer, it wouldn’t be too obvious. The silver specks add a touch of understated glamour, which went well with the black nail polish and the interesting intricate nailart design. I am so in love with this set of gelish manicure with nailart! There are a total of 4 outlets by Nailz Treats now and you can call them up to make an appointment to give your nails a special treat! For the outlet in Clementi Mall, you can call +65 62623727 or sms +65 8522 6771. 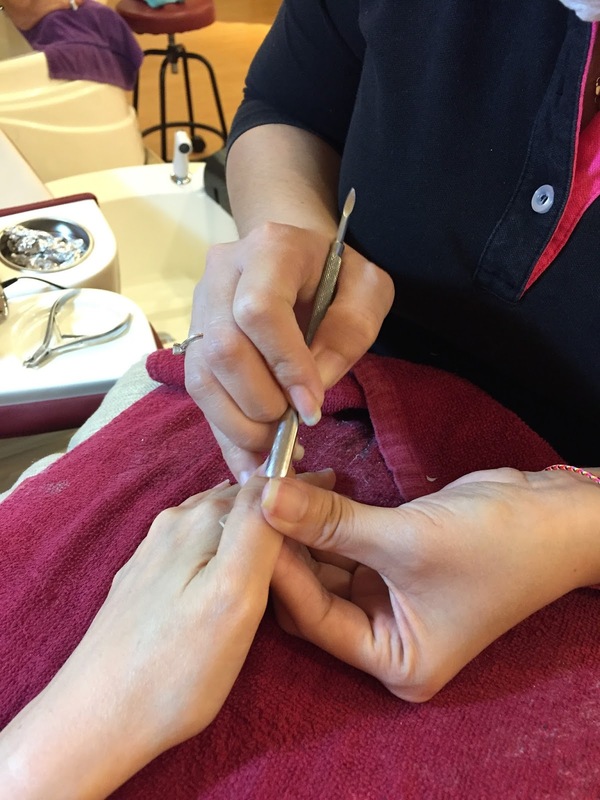 The outlet in Clementi Mall offers manicure, pedicure, eyelash extension and waxing services, which means it is a one stop centre for your beauty needs. Make sure you call to make your appointment to avoid disappointment as Nailz Treats outlets are pretty packed especially during peak hours.